Do you find yourself struggling to save money on groceries? Groceries make up a huge part of the monthly budget. We spend a lot of food, almost comparable to making a large car payment each month! You can significantly cut your food budget when you shop smart and plan ahead before your shopping trip. 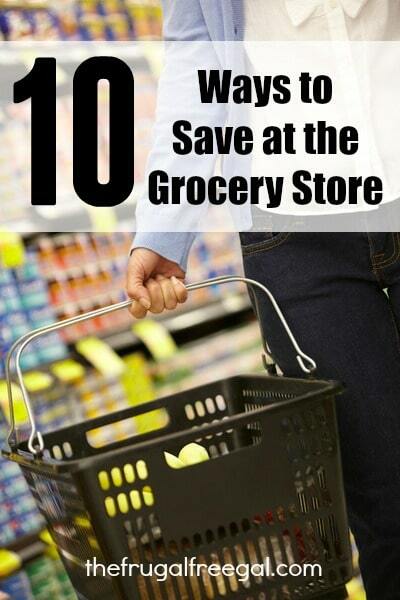 Here are 10 ways to save at the grocery store. 1. Create a monthly budget for groceries. Decide on what you can spend on groceries each month and try to stick to your budget. A typical family food budget is anywhere from $400-$600 depending on the size of the family. 2. Find coupons to match your list. Create your shopping list first for the items that you need. Next, search for coupons to match. You’ll be less tempted to buy things you don’t need and avoid that impulse feeling of buying just because you have a coupon. Don’t forget to check popular money saving apps like Ibotta and Checkout 51 for rebates on your purchases. 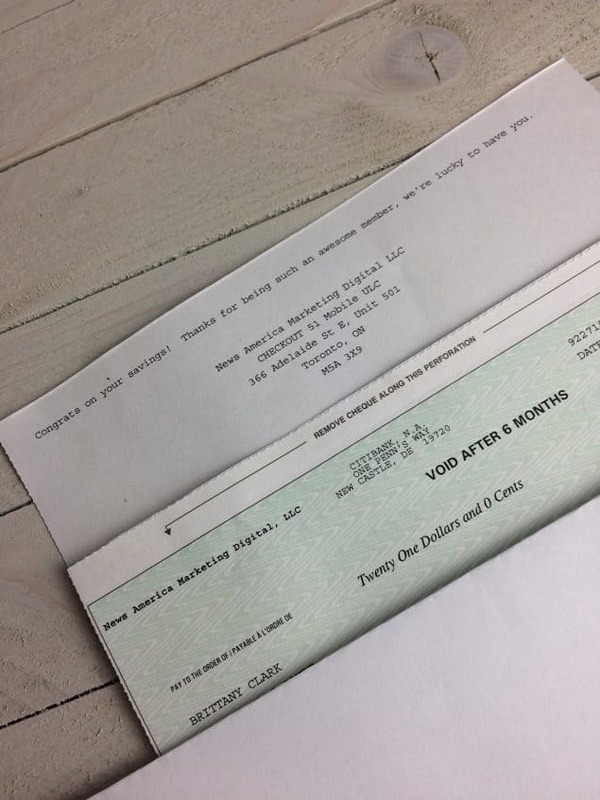 I just received my check from Checkout 51 recently. 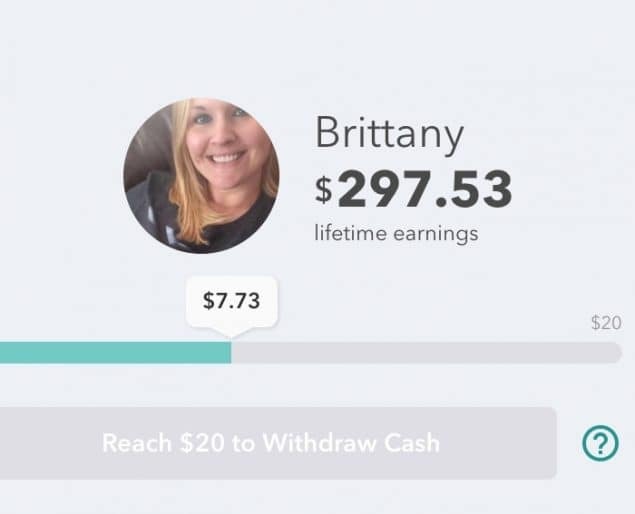 I’m about to earn cash back with Ibotta again, too! 3. Use the store circular to determine what’s on sale. Sit down with the store circular and look for the items that you know you buy on a regular basis that are on sale. You’ll be able to use this to create your list in the next step. 4. Create a list before you go to the store and buy ONLY what’s on the list. It’s easy to get to the store and think, “Oh! I need that, too!” It’s ok to buy these items, but remember that if you are on a budget, you may be going over your budget if you do not stick to what’s on the list. 5. Eat before you shop. Have you ever gone to the grocery store on an empty stomach? When you go to the store hungry, you are much more tempted to pull items off the shelf that you don’t necessarily need. Your stomach is telling you what to buy! 6. Shop alone, if possible. Toddlers can be great at keeping us distracted while shopping as they sit in the cart, get out of the cart, push the cart, ride on the front of the cart, and try to get away with whatever they want to do. We also know that they like to pull items off the shelf. (Does any of this sound familiar?) Try to leave the kids at home with the husband or a sitter if necessary. When you do this, you have more time to compare prices and read labels. Often times, shopping alone for moms can feel like a nice vacation! 7. Stock up on items that you regularly buy that are on sale. If you find an item on sale that you buy on a regular basis, stock up. By doing this, you are saving money in the long-run and cutting your store trips down. *Note: This is a great method if you consider this in your budget. 8. Browse your cart before checkout. Scan your cart before heading to the checkout line to make sure you have everything you need and want. Compare your list to the items in your cart and place items back if you don’t need them or if you feel you may go over your budget. How many times have you taken coupons to the store only to realize you forgot to use them? Keep coupons organized in an envelope, small coupon file, or binder. Before checkout, have your coupons ready to go! 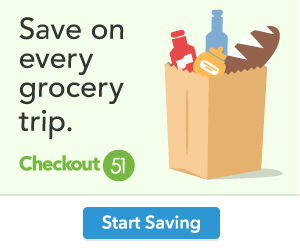 If you want to find coupons to use at the grocery store to save, you can print coupons here. You can see my coupon binder in this post. I no longer use a binder, though. I went back to using an accordian style file since it fits into my purse. 10. Double check your receipts. Cashiers are human, and they make mistakes. At times, items are not scanned correctly, and are scanned twice. There are times when prices do not show up correctly. Check your receipts after you checkout to make sure everything was scanned correctly. 11. Bonus Tip: If you want to avoid getting in your car and driving to the store, consider shopping online for your groceries with AmazonFresh or Amazon Prime Pantry. By shopping online, you could save money on gas and time. You may also avoid temptation to buy as much as you would in a regular grocery store due to the large selection at local retailers. Do you have any tips for saving at the grocery store? Thank you for the great blog post! My wife and I always do number 10 because almost every time without fail, there is something we were overcharged for so we go to the customer service desk and get a refund. It can really add up! Yes, I have found several mistakes on receipts. That’s why I always check now before I leave! These are great tips.I have gone shopping hungry and was shocked at the cash at the extra groceries I had in my cart. LOl My husband always checks everything on the reciept for mistakes. I do buy a lot more when I’m hungry!